Having built two new grandstands last year, it was now time to install the new seating. This required the use of a heavy 35 tonne GVW crane with a 90 tonne loading capacity. The challenge was to undertake this work cost-effectively without damaging the stadium’s sacred turf. 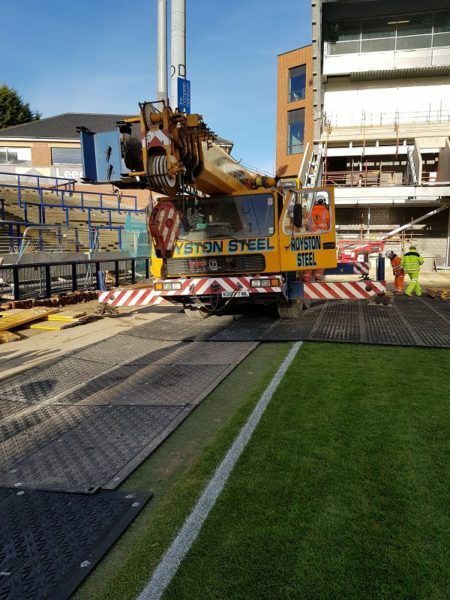 Having used MaxiTrack previously on site, the contractor was keen to use it again, and were pleased to invite us back to consult on the job. 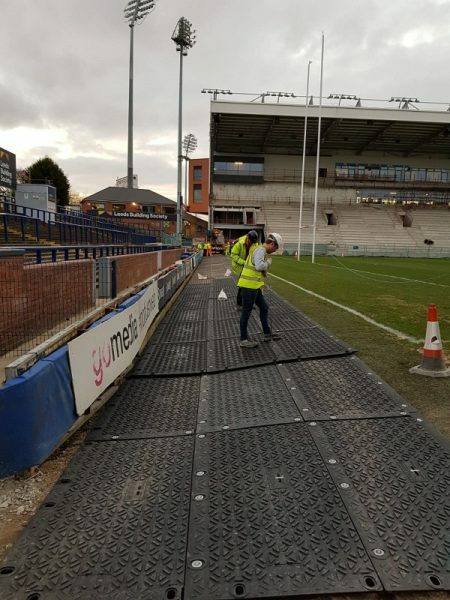 MaxiTrack mats are guaranteed unbreakable by vehicles up to 130 tonnes, and yet only weigh 40kg each; ideal for two workers to install and manoeuvre by hand without the need of expensive mechanical aids. 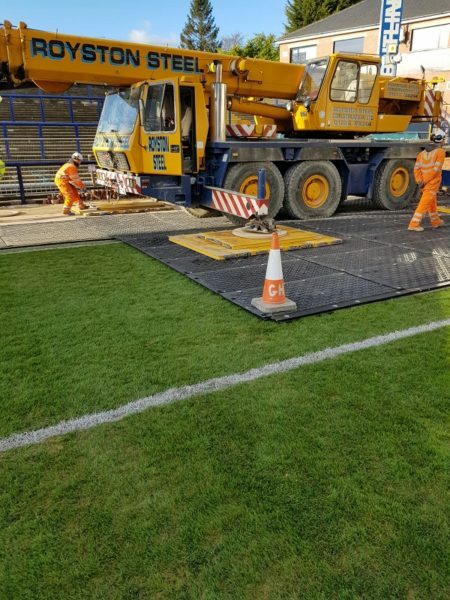 A firm, reliable base was rapidly installed using the MaxiTrack system, enabling the crane to operate safely and efficiently. 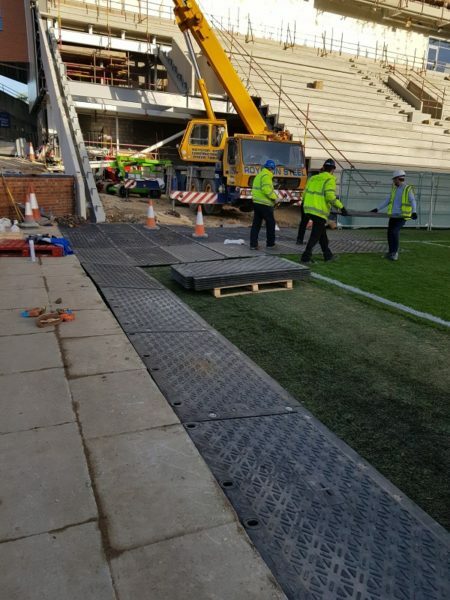 The mats, which only take minutes to lay, were then quickly moved and reused along the pitch as needed by the crane. 312 MaxiTrack mats were hired in total for a one week period. 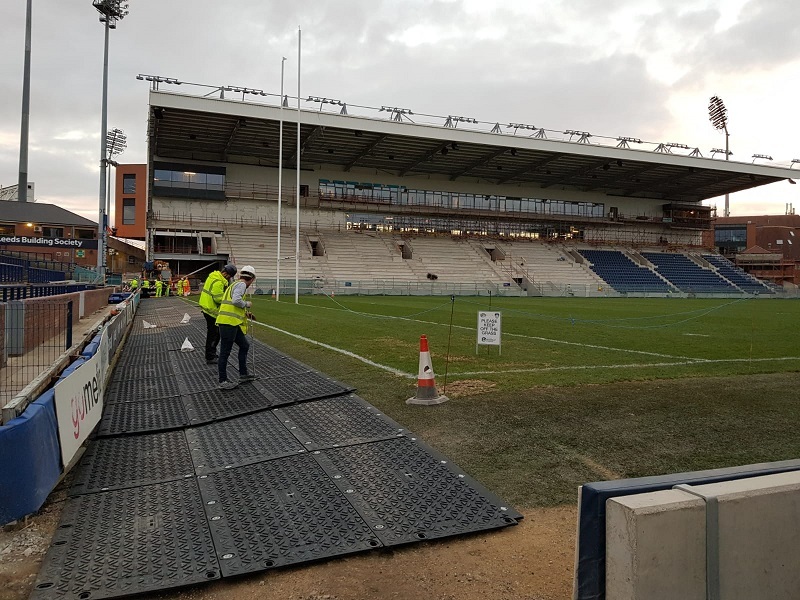 The seating was successfully installed without any ground damage. Another job well done!